When I was in high school, my family took a trip to Europe. While the European countrysides were beautiful, I had seen similar vistas within the U.S. What struck me most in contrast to anything I had seen here, however, was the architecture; in particular the architecture of the churches. There are certainly beautiful churches in the United States, don’t get me wrong, but the church structures in Europe are captivatingly beautiful, the result of generations of stone masons, carpenters, and craftsmen working toward the goal of making the church the most attractive and compelling place within the community. These ancient “houses of worship” were the finest efforts put forth by artisans of the day for the glory of God. Today the church as a vessel of worship has changed in dramatic ways. 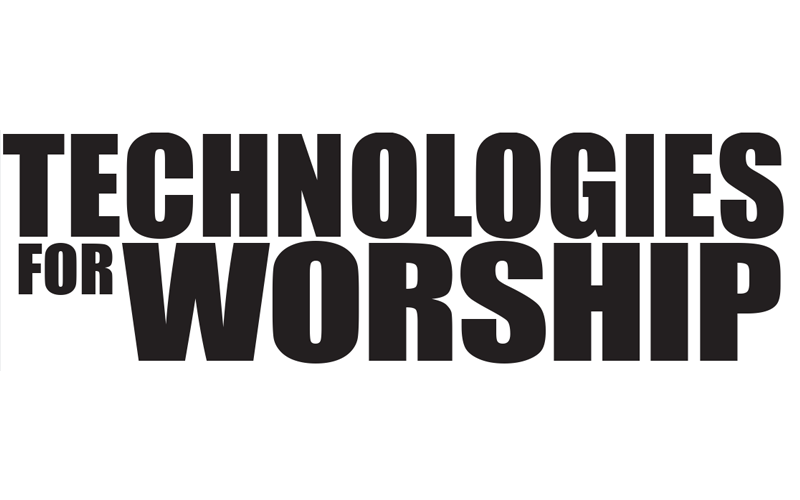 The expense of time and money has given way to new technologies and the look of the church has been simplified. Further, as the social acceptance of not going to church has increased, the modern church has strived to create a compelling, comfortable place that makes people want to attend rather than because it’s just what everyone does. Most modern churches aren’t built to be admired from the outside anymore. Instead, more emphasis is being placed on the productions going on inside the church, and the use of video technologies is a large part of creating the dynamic environments that bring the vessel of the gospel into the modern era. 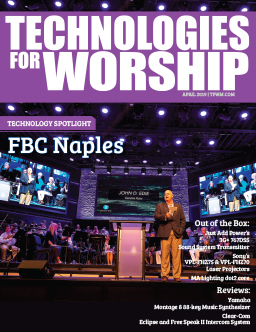 This article has been written specifically on how the local church can make effective use of visual imagery to enhance their worship experience, but the philosophy of using modern tools creatively is appropriate for any part of the modern worship service. To better plan for how to build your visual imagery library, I think it’s important to break down the various forms of imagery into their basic types. To start with, every visual is either a real-world image (captured with a camera), or computer-rendered. We can further break down each of these categories into still motion imagery. Still imagery is very often a photograph, painting, or other simple graphic image. It’s easy to make still imagery more compelling by putting these images into motion such as can be seen in documentaries. Simple tools like Apple’s iPhoto can create these kinds of moving images quickly and at very little cost enabling you to create your own video backgrounds. Rendered video imagery is often referred to as “Motion Graphics”, and can span a wide breadth from hard edged lines and drawings to more organic and subtle light imagery and gradients. There’s also real-world content, that has been shot with a video or film camera, which can be edited into an impacting piece. Either type of imagery may be available as a seamless loop meaning that the end seamlessly loops back to the beginning without a sudden jump in perspective. This is desirable in a worship environment where timing of songs is inconsistent and can be accomplished on most any clip with a bit of editing, but is better executed when planned for. In general, most motion graphics come from providers as seamless loops whereas most captured footage does not. Simple tip: Most non-looping clips can be made to loop more seamlessly with a bit of editing. If you cut the first second of the video off the beginning, you can add this second to the end of the video with a cross dissolve. This will make the loop smoother and less abrupt, particularly on nature footage. As you begin to develop your video library, you’ll realize quickly that quality visual imagery is expensive (that’s why I wrote about all those churches in Europe that are priceless… it puts the cost of a $400 video library into perspective). The good news is that as more and more churches are adopting video imagery into their services, the providers of this content have become more plentiful, and the prices have steadily fallen. The important thing to note here is that quality content must be given a healthy budget. If you use four video loops in every worship song and sing four worship songs every week, you will be using 64 video loops a month and, presumably, you want to keep your productions fresh with an ever growing assortment of such clips. Now that we understand the types of visual imagery that can be used in a worship set, we can move on to how best to choose the right visual imagery for specific songs. Most of the time, there’s a discernible tempo to video clips and its use is most impacting when the pacing of the video closely matches that of the song with which it is being used. If you want to use captured footage, think about the words of the song and try to find visual imagery that emphasizes these words. For example, if a song speaks to the majesty of God, then you might choose nature shots of mountains. If you’re singing a song about Christ being the light of the world you may use simple candle shots at the beginning and gradually build to sunrises or stars as the song builds. It is perfectly acceptable to combine rendered imagery with real-world imagery within a single song. Be sure to not choose imagery that is too busy or distracting. Also, be sure to make your transitions appropriate for the song… cross dissolves of a second or more work well for slower songs while hard cuts or quick dissolves work well for faster songs. If you are using video clips in conjunction with text overlays, make sure that the words are still readable with the chosen backgrounds. If there’s not enough contrast between the text and the background, add a shadow or an outline to the text, or make simple edits to the clip to decrease its brightness. A song should usually consist of no more than 5-6 visual elements, but it is perfectly acceptable to repeat visual elements for different repeating parts of the song, such as using a specific background for verses and another for choruses. Be strategic about your use of videos and follow the structure of the song for the changes, giving your audience the opportunity to experience the visual display you are giving them before switching to something different. It is also very helpful to coordinate and rehearse with your lighting director such that the video imagery and lighting compliment each other. The usefulness and longevity of your video clip investment can be leveraged very quickly with a little bit of video editing skills. The simplest edits can be made using video editing programs such as Apple’s Final Cut Pro (or Express) or Adobe Premiere with which you can quickly take your clips and modify them to create new and unique creations. The simplest change that you can easily create is to the color, saturation, and speed of playback of these clips. For the more adventurous, experiment with combining two different visuals with varying levels of opacity with rotations on some layers. By changing just a few parameters in a video editor’s timeline and exporting it out as a new clip, you can easily double or triple the size of your motion visual library. Once you have mastered the ability to program stock video clips as backgrounds for songs, you may want to progress to the next level. Many of the events I work with have started utilizing custom made video files that embed the lyrics of songs into the videos they portray. The clips are broken up into individual video files for the different parts of the song and played at these appropriate points during performance. Alternatively, you could create a long video with a click track for your worship band to play to with the video synchronized to the song perfectly. 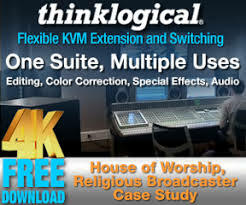 For many churches, however, the complexity of playing to a click track is not feasible, which makes the utilization of a flexible clip player within your presentation software critical for the clip-based method I mention here. While building these “motion lyrics” is a fairly advanced step for the average church, the tools for making this kind of integration possible have come down in price dramatically (Final Cut Studio with LiveType, AfterEffects, etc.) making this kind of power accessible to everyone. In the coming year I believe you will see a great many of these “motion lyrics” for churches available from various companies as licensing agreements for the lyrics themselves get worked out. The creative process for choosing and displaying visual imagery for worship is best when it’s not confined merely to what you have, but making the most of the tools you have at your disposal. Remember also that tasteful use of imagery is key to a dynamic experience. A healthy dose of impacting imagery that coincides directly with the intensity in certain parts of the service can have a profound effect. However, laying it on too thick can easily deter from the message and redirect focus from worship to the technology being used. It is not wise to use all the bells and whistles at once just because you can. Plan ahead to spend a couple of hours every week creating and choosing the imagery appropriate for your worship experience. Enhance, don’t distract. Be creative. Glorify God.